As a charity, Help & Care relies on its Board of Trustees to provide strong governance. The role of the Board is to ensure that what we do is in line with our charitable objectives and that we operate within company and other laws. Trustees hold the Chief Executive and Leadership Team to account for their work and work with the Leadership Team to develop, agree and monitor the delivery of the business plan for the organisation. 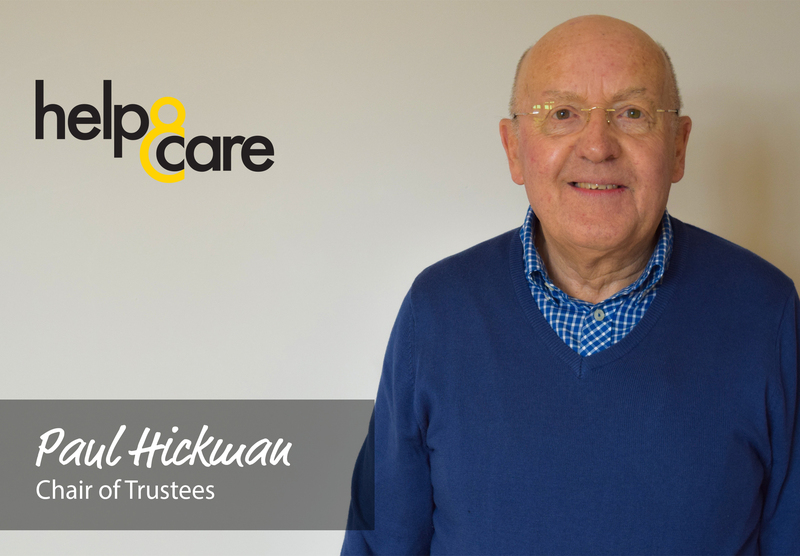 "I have been a Trustee of Help & Care for 15 years, just under half of its great life, and I have had the privilege of serving as your Chair of Trustees for 13 of those 15 years. I note with mixed emotion that the 2017 calendar indicates my 73rd birthday. For Help & Care I believe 2017, even amidst the fog of austerity, will be a successful and uplifting year delivering support, encouragement and hope to those we have a duty to serve. Uplifting because of the dedication of our leadership, staff and volunteers, and hopeful because of the plans which set our Charity’s path now. The next 15 years however will need new vision and bold action. It is time for change and the Board has accepted my wish to retire at the end of August this year. I look back at all Help and Care’s ventures and adventures with great affection. I know the Board is ready. Fiona Knight has been elected Vice-Chair and recruitment of a new Chair is well underway. I thank everyone for their support and loyalty and wish Help & Care the very best of futures." Following a formal selection process, Adrian Dawson has been appointed new Chairman of Trustees, and started in his new role on the 31st of August 2017. 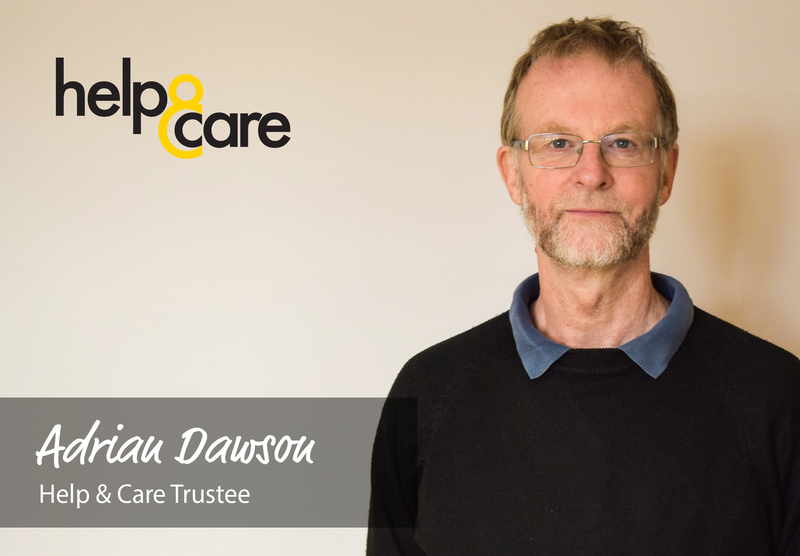 Adrian has been a Trustee at Help & Care for 2 years. Adrian’s previous experience at Help & Care and expertise in the health sector will ensure he makes a positive impact as a Chair of Trustees.